One of the lovely things about running the Viva! Vegan Festivals is the opportunity to introduce the wonderful world of vegan goodies to a new audience. It really does open people’s eyes when they get to try luscious chocolate, cheeses, sausages – tons of stuff – that are 100 per cent animal-free. Our publications, campaigns and talks explain why it’s important to go vegan or veggie – the food gives you the practical means to try a cruelty-free diet. Chocolate and cheese used to be a particular stumbling block for wannabe or new vegans. Many of you will have heard about our expose of Cadbury’s dairy farms and have discovered the brutality behind all dairy farming. But giving up dairy doesn’t mean giving up your favourite treats. The last few years have seen supermarket vegan and free-from ranges expand massively. Chocolate choices have also improved immensely - M&S, Hotel Chocolat and plenty other chains have got in on the act and Viva!’s own shop has a fantastic range, many of which aren't available in high street stores. But having said that, the supermarkets and restaurant chains are catching up very fast indeed - so much so that we can hardly keep up! The big supermarkets are firmly on it, launching new ranges all the time, as are the restaurants. Try apps or sites like Spoon Guru and My Vegan Supermarket for up to the minute information. But this a start. Below are links to all the companies we use – many of whom have given us generous food donations to enable us to run our events. It's not an exhaustive list but it's a pretty good start! You may recognise some but there are plenty of new ones here too. Click on the links to get to each company’s website – from there you can find stockists in your area. If not, you can order from them direct or from one of the on-line stores we list at the end. If we've missed out on one of your favourite companies, let us know and we'll do our best to sort it. Alternatively, encourage your local independent health food store, grocer or deli to get it in for you! Suggest they do a simple taster event to raise awareness. We include both food manufacturers and also on-line stores. If you live in a big city there are excellent independent health food shops such as Unicorn in Manchester; Infinity in Brighton; Harvest in Bath; Harvest and Scoopaway in Bristol; Grass Roots in Glasgow, Real Foods in Edinburgh - they each sell many of the products from the companies listed below. Mainstream outlets are the only option to many of you but supermarkets and health food shop chains like Holland & Barrett are improving rapidly. However, there are some goodies that they just haven’t got their heads round yet! Finally... if you want specific products, eg cosmetics, footwear, bags etc - it's also worth searching for 'vegan shoes' etc as some sites specialise in certain products rather than carrying everything. Clearspring are the UK's dedicated Oriental and Macrobiotic food producers. Quality soya sauces, tofu, miso, noodles and more - pure artisan products! Conscious Chocolates - raw vegan chocolate since 2004. Food Heaven - vegan and gluten-free desserts: cheesecakes, tiramisu, chocolate mousse and a new ice-cream range of four flavours. Hooray! Goodlife recently made their entire savoury meals range vegan, hooray! Impulse are a well-established producer of high quality, tasty and versatile tempeh and tempeh rashers. Check out their link for recipes - and on our site too! Nutreelife - protein cubes and bars - really useful for those training or just on the go. Plamil - soya milk, mayo, chocolate - a dedicated vegan company and one of the first. We salute you! Provamel fine quality soya milk, yoghurt, desserts - and lots more. One of the originals and best. Seggiano - not entirely vegan but they do the BEST pesto ever, all vegan, and also dark chocolate spread and other Italian gourmet goodies such as dried fruit and chocolate, excellent olive oil etc.. Check website for stockists or nag your local health food shop/deli to stock them. Source Foods - fresh, live miso as well as miso ginger relish, miso mustard. Their products are superb, some of the best we've ever used. Thehemp light miso is amazing in our Cheezy Sauce recipe! The darker ones are also fantastic in soups, stews. If you've not tried miso, check their products out - good health food shops and delis. Remember not to boil miso - make it into a paste with cold water and add it just before serving. That way you don't destroy those lovely live cultures! V-Bites (formerly Redwood ) for vegan alternatives to meat, sausages, cheeses, pates, sweets - and lots more. Their chicken and duck-style pieces are big favourites and great with Chinese food! Vegetarian Choice - for good value vegan sausages, burgers and the like. They are sold in independent outlets and are one of the few egg-free burgers around! Great on a barbie... We've heard whispers of rebranding and such in the near future so watch this space! Vegusto - the new kid on the (vegan cheese) block. They sell a fantastic range of cheeses, cold cuts, other faux meat products - and more. All vegan, too. Violife - they've gone from being a health food shop product to everywhere, including most major supermarket chains. They sell a range of flavours in blocks and slices and Tesco bigger branches even stock their Parmesan-style cheese, Violife Prosociano. Goodness Direct - not 100% veggie or vegan, sadly - but they do carry a massive range of vegan products and are a brilliant resource for those of you far from a decent health food store. Check out their minimum order to cut down on p&p. RealFoods - lots of amazing food including the only known source of organic gluten (seitan) flour so you can make your own vegan meats! Based in Edinburgh but they deliver across the UK. Shop Vegan - sell lots of stuff, not just food. 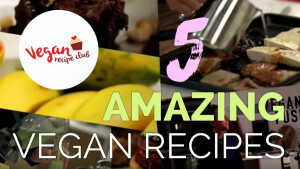 The Best of Vegan - food, sweets, treats, costmetics, supplements, drinks and lots more! 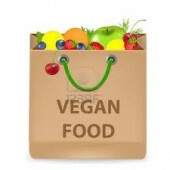 The Vegan Kind - food, drinks, home, fashion, cosmetics... everything really! Vegan Store - shoes and sweeties, groceries and cosmetics - oh, all sorts! Veggiestuff - a dedicated veggie and vegan online store. Great stuff! Viva!Shop (of course!) for chocolate, sweeties, recipe books, campaign resources, nutritional resources, clothing, gifts. We update our range regularly and our Merchandise department is always on the sniff for fabulous new vegan goodies. And of course, all profits go towards spreading the vegan message and saving animals and the planet. VX - wonderfully 'notorious' vegan cafe and shop that also runs an online store. Yumbles - curated online marketplace for artisan food and drinks, mainly focussing on vegan and other free-from dietary items.